The average price for this game in the past 6 months is $16.49. The game first became 50% off on Jun 28, 2017 at . 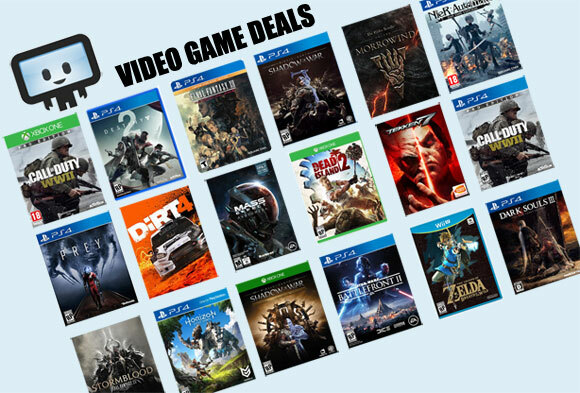 Lowest historic price was $14.99 on Nov 20, 2018 at GameFly. New low on Sniper Elite 4 Day One Edition on PS4 and Xbox One at Best Buy. If you're a fan of shooters or World War II, go grab this game. Your choice of free shipping or store pickup. PS4 and Xbox One copies of Sniper Elite 4 Day One Edition getting a 25% discount at Best Buy. New low by $5 for the February 2017 release. The average price for this game in the past 6 months is $8.99. The game first became 50% off on Dec 4, 2014 at GameFly. Lowest historic price was $8.99 on Dec 11, 2018 at PlayStation Store. The average price for this game in the past 6 months is $17.99. The game first became 50% off on Nov 22, 2017 at Microsoft. Lowest historic price was $17.99 on Dec 19, 2018 at GameFly. Sniper Elite 4 is at only $20 thanks to Microsoft Store's Black Friday sale. Act fast because these usually go OOS fast. The average price for this game in the past 6 months is $18.35. The game first became 50% off on Jun 22, 2017 at Steam Store. Lowest historic price was $15.30 on May 27, 2018 at Green Man Gaming. New historic low on Sniper Elite 4 at only $20 for the Steam key. The entire franchise is on sale this week thanks to GamersGate's Spring Sale. If you enjoy the series, this is the best one yet. Deluxe on tap for $30 (which comes with Season Pass). Hunt Hitler on the cheap. Sniper Elite 4 hits a new low by $1.50 today in GMG's 2017 Summer Sale. Also includes a free Mystery game as a bonus from GMG. Sniper Elite 4 once more a flash deal in the GMG Summer Sale 2017. For the next few hours get the historic low price point and a free Mystery Game. On top of that a 10% off coupon for your next purchase at GMG (coupon arrives via email). Sniper Elite 4 base game slashed to $46 at Green Man Gaming today. This is a slightly price tweak, now 23% off vs. their previous 20% off discount. Reviews looking fairly positive with a 78/100 score on Metacritic. Sniper Elite 4 out tomorrow on PC for $60, or $48 at GMG. There you'll also get the same pre-order bonus as you would buying for full price on Steam: the Target: Führer mission DLC and Camouflage Combat Rifles Pack. The average price for this game in the past 6 months is $24.29. The game first became 50% off on Jun 22, 2017 at GamersGate. Lowest historic price was $24.29 on Nov 20, 2018 at Fanatical. Sniper Elite 4 Deluxe Edition is 23% off at GamersGate now through the end of the month. This is the lowest price from an authorized retailer, and besides the base game gets you the Season Pass... which includes the coveted Target: Führer mission DLC among other content. The average price for this game in the past 6 months is $3.82. The game first became 50% off on May 31, 2013 at Green Man Gaming. Lowest historic price was $3 on Dec 3, 2014 at GamersGate. hey sorry for late reply, you put in the Green Man Gaming coupon during checkout. Before they let you put the coupon before you start the checkout process, but now you'll need to login and everything... kind of a hassle, but if you're going to buy the game anyways it makes sense. The average price for this game in the past 6 months is $3.82. The game first became 50% off on Dec 4, 2013 at GamersGate. Lowest historic price was $3 on Dec 3, 2014 at GamersGate. Sniper Elite: Nazi Zombie Army 2 gets a 75% discount today at GamersGate in a "Sniper Weekend" sale. Matches the PC gaming winter sales. Normally a $15 purchase. Sniper Elite on the cheap. For 48 hours at GamersGate has all Sniper Elite games 75% off (all except Sniper Elite III). This Nazi Zombie Army 2 stand-alone expansion is only $3.75, which is its lowest price ever. GMG's "Battle Through the Ages" sale is going on this week with a rather meh, selection of PC Download deals. Perhaps one of best deals though in the sale is Sniper Elite: Nazi Zombie Army 2. At $5.09 it's the lowest price ever since its October 2013 release date. Today only at Gamersgate, Sniper Elite: Nazi Zombie Army 2 drops to its lowest price ever at $6. If you liked the first Nazi Zombie Army, you may want to give the game a try for cheap. Game activates on Steam. If you liked Call of Duty's Nazi Zombies, chances are you might find tomorrow's release Sniper Elite: Nazi Zombie Army 2 enjoyable. You can play through the campaign with up to a 4 person co-op. GMG has the preorder price at $9 after coupon and instant savings combo. After tomorrow's release the instant savings discount will likely expire and the price will go up. You don't need any other Sniper Elite titles to play this game. The average price for this game since released is $14.65. The game first became 50% off on Jul 12, 2012 at Amazon. Lowest historic price was $5.09 on Jul 19, 2013 at Amazon. Can't go wrong with FREE. Until tomorrow at 10AM Pacific, grab Sniper Elite V2 FREE from Steam Store. Add to your library and it's free for life. Nice freebie from the fine folks at Rebellion. Today only at Gamersgate, Sniper Elite V2 drops to its lowest price ever at $9. If you like sniping and slow-motion headshots, you may want to give the game a try for cheap. Activates on Steam. Sniper Elite V2 PC download is at $15 today at Amazon. Lowest price we've seen on the download by $35. The PC version right now is $25 cheaper than the consoles.